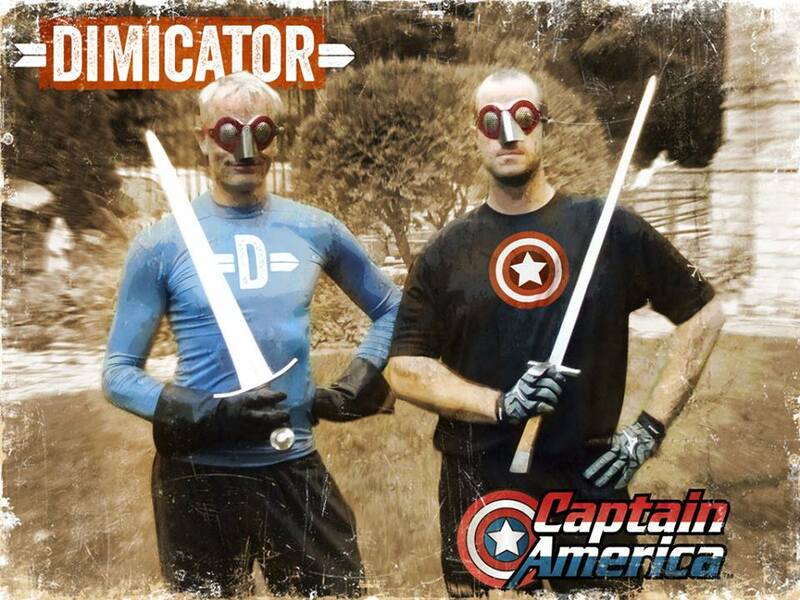 Ed – Reblogged from Devon Boorman’s Academie Duello blog. 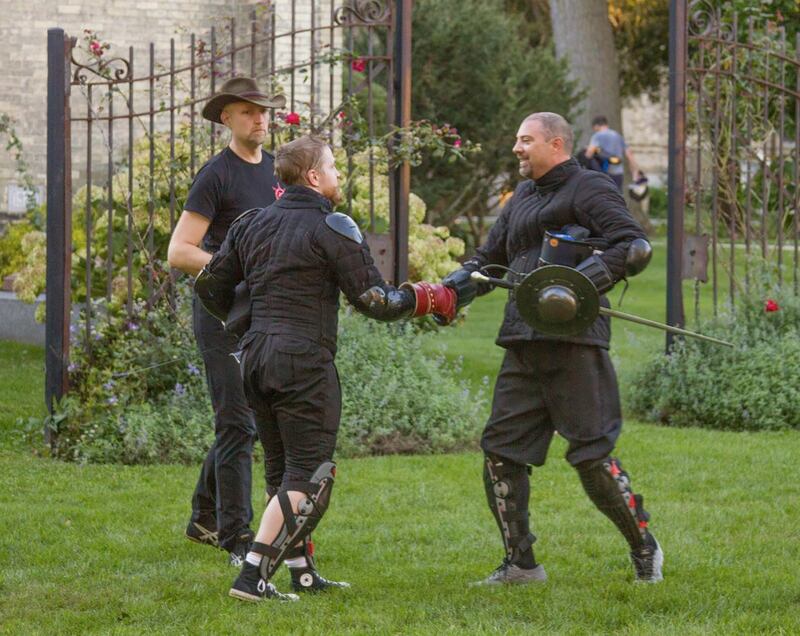 Devon was one of AA’s instructors and is also the founder and chief instructor of Academie Duello – the largest WMA school in the world. 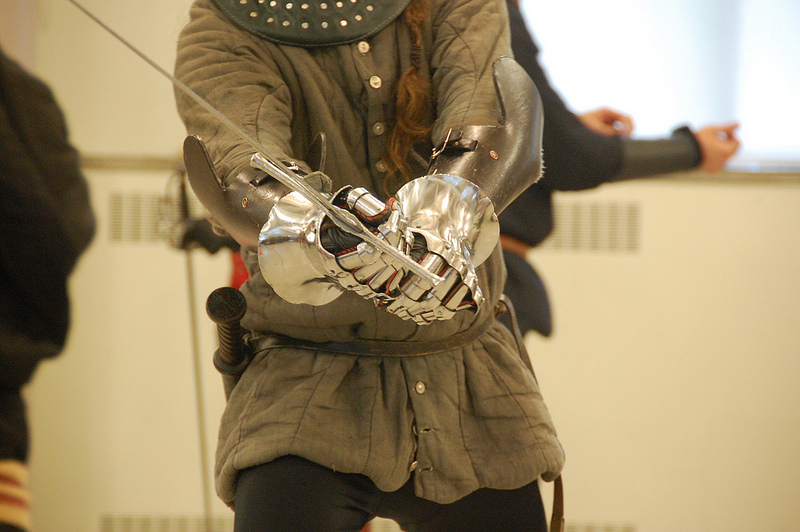 Stay tuned for photo and video updates from Armizare Academy over the next week. I have just returned home from Armizare Academy in Racine, Wisconsin and must report that it was an excellent event all the way around with great classes, opportunities for collaboration, and sparring. 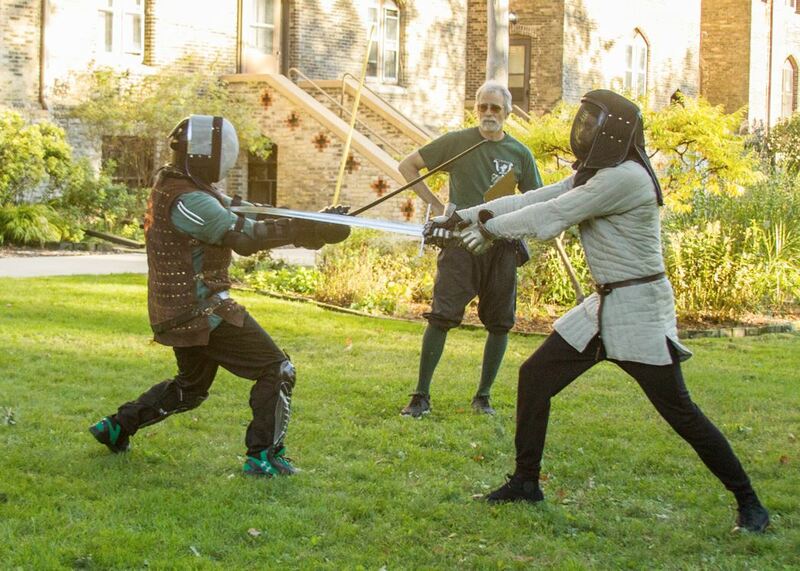 For those who are unfamiliar with the event, this is it’s second occurrence – the first time being in 2009 under the name The 600th Anniversary of Fiore dei Liberi or “The 600” for short – it is an event hosted by the Chicago Swordplay Guild (CSG) on alternating years to their other excellent event the Western Martial Arts Workshops (WMAW). 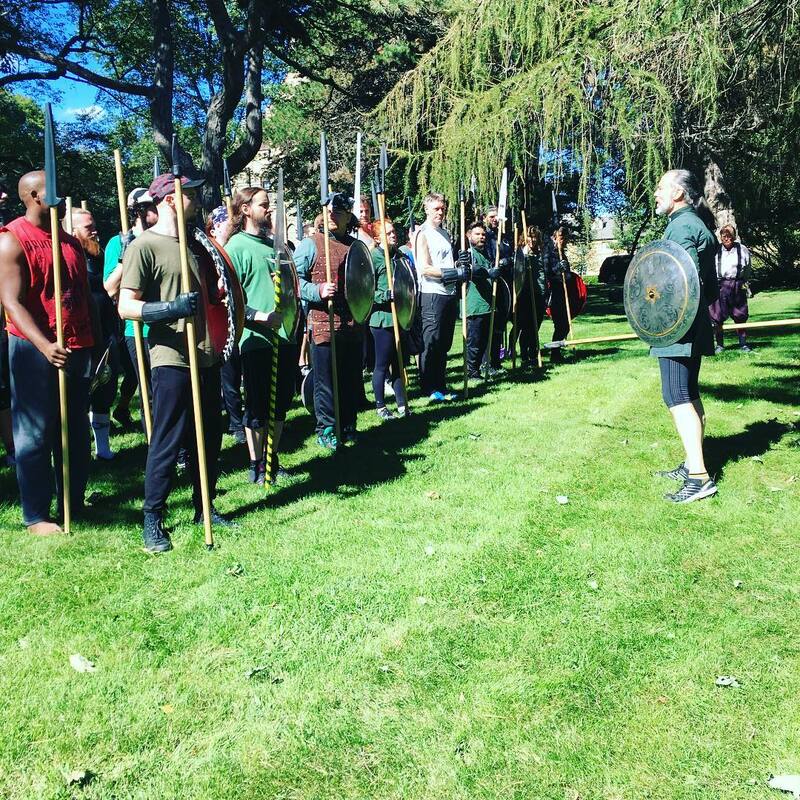 Unlike WMAW, Armizare Academy focuses almost exclusively on the Italian martial arts tradition of Fiore dei Liberi, generally known as Armizare. 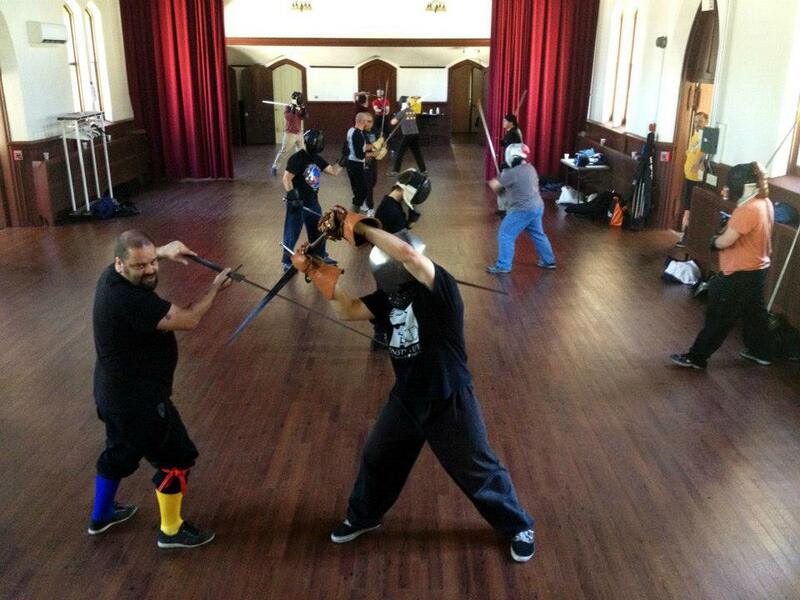 Classes focused on wrestling, dagger, longsword, and sword in one hand. 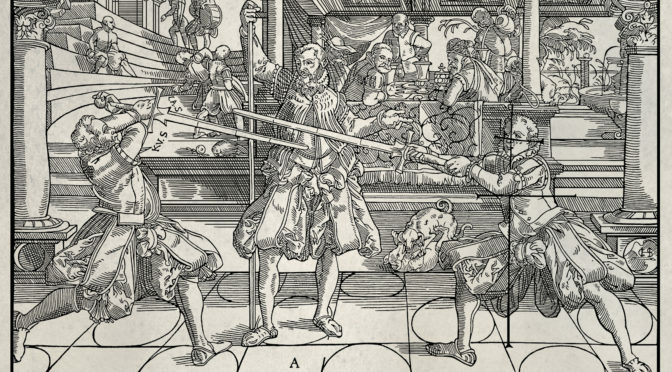 This year’s instructor roster included me, Greg Mele (CSG), Sean Hayes (Northwest Academy of Arms), Bob Cherette (Forteza), and Christian Tobler who delivered classes on parallels to Fiore from the German tradition including an excellent comparative lecture with Greg Mele. A particular highlight of the weekend was a keynote by Tom Leoni at dinner on Saturday night, done in the style of a renaissance university address. 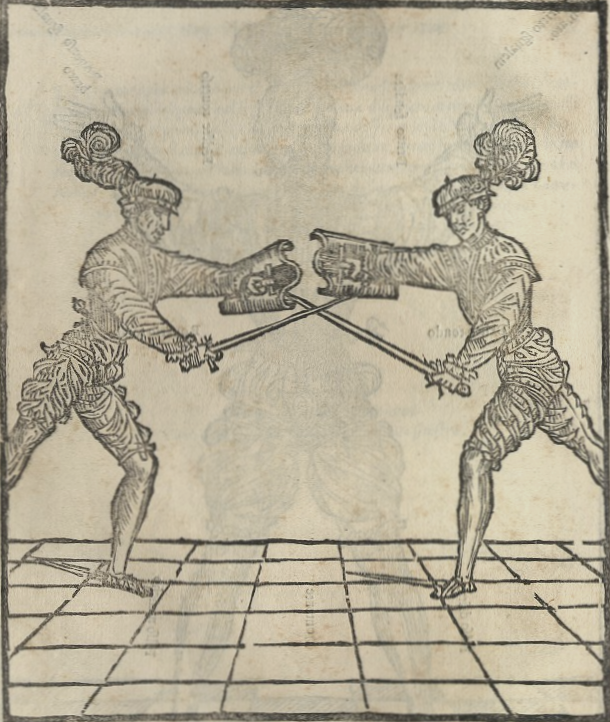 It was a discourse on the work of Fiore dei Liberi that both argued for the use of the art itself and advised students on its study. A video of this address and transcript should be available soon. 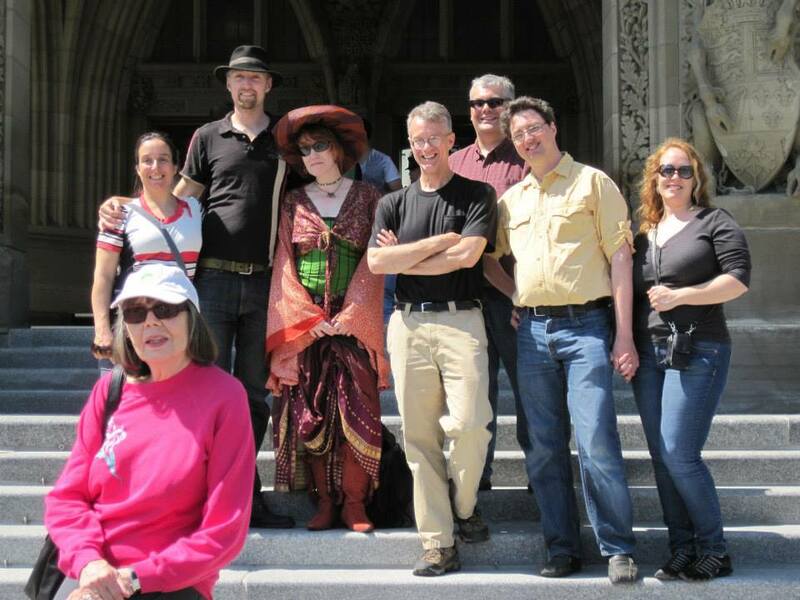 I was very impressed with the quality of all the workshops that I attended and came away with much food for thought. 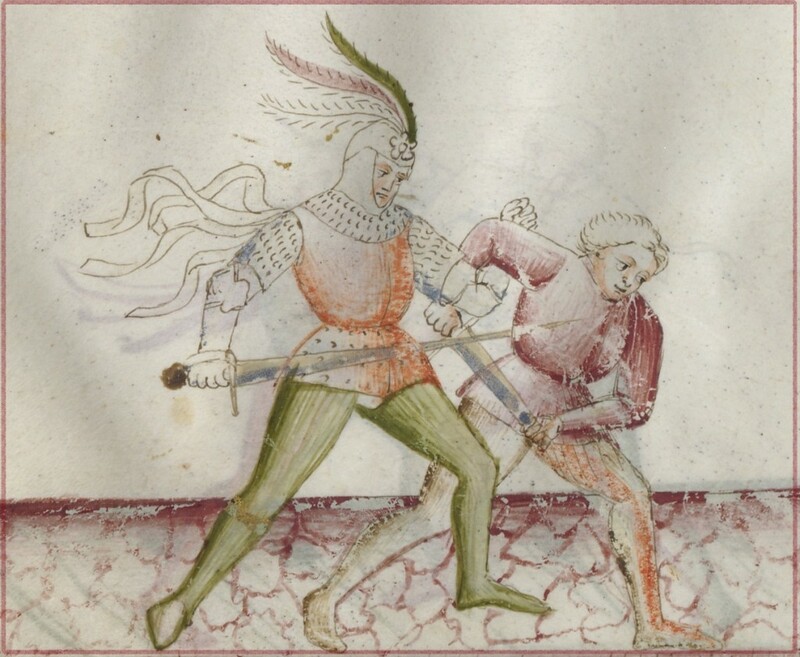 I particularly enjoyed Christian’s class on German counter-dagger techniques. 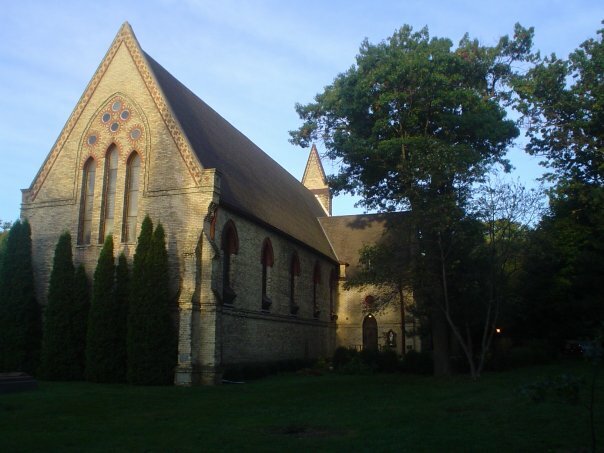 For my workshops, I felt that they went off excellently well with attentive and focused students. 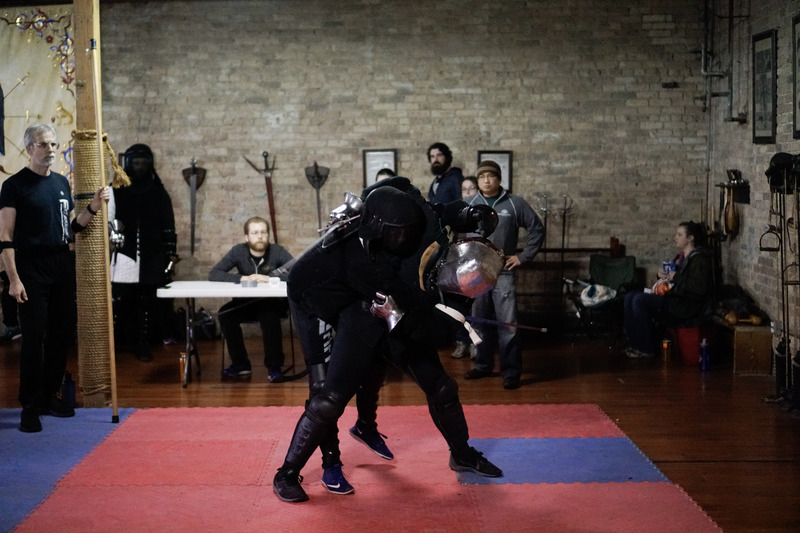 I delivered classes on applied combatives, exchanging the thrust with the longsword, modern knife, and combative strategy (co-delivered with Sean Hayes). I will be making videos and course notes available this week for those who attended (or didn’t) and want to have a reminder of what they learned (or missed). 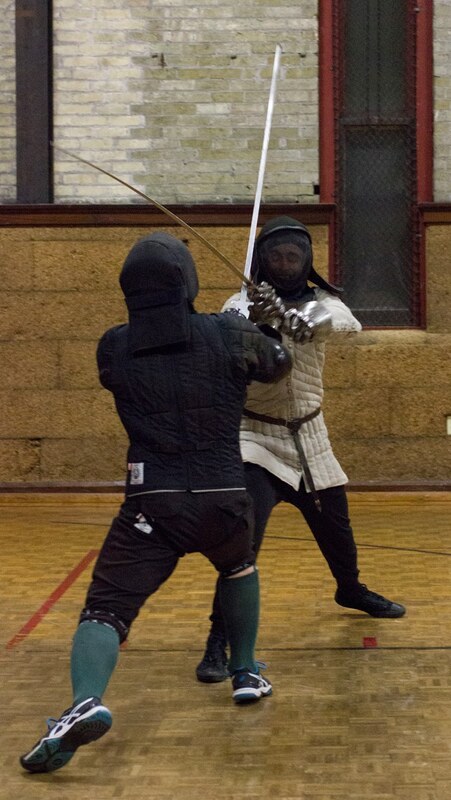 The pinnacle of the event for me was most likely the Deed of Arms. 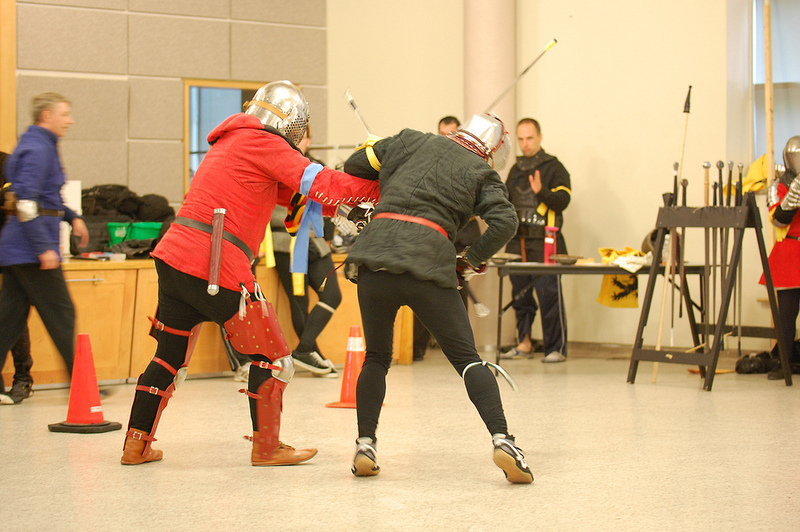 This is an event I participated in the previous year at WMAW that features a medievally inspired fully armoured tournament with a certain amount of pomp and circumstance. 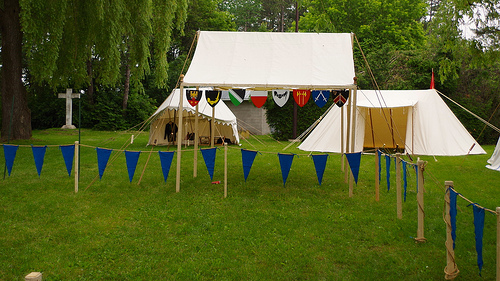 I played a multi-faceted role as head marshal, herald, and as a combatant. 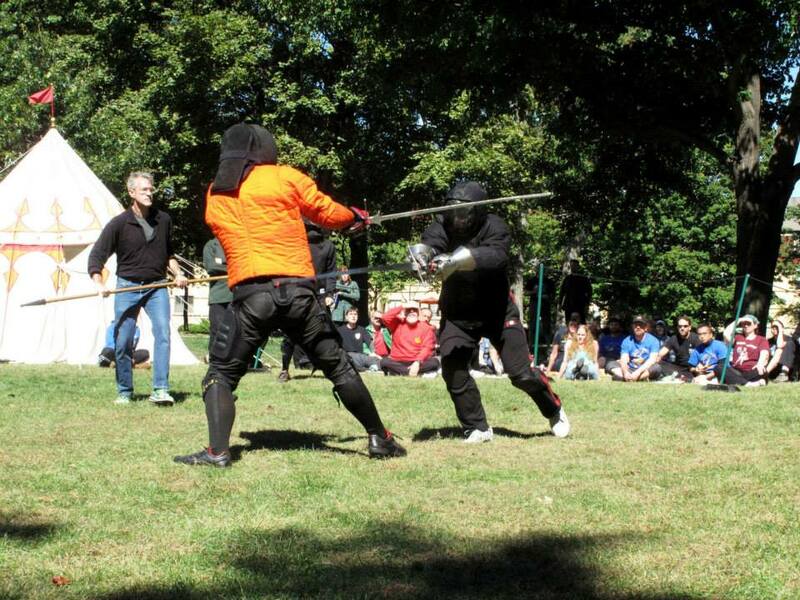 I had two fights at spear and at poleaxe, both of which saw me victorious. 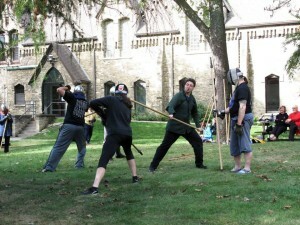 The fight at spear with Greg Mele was particularly challenging and featured the longest continual series of actions in the tournament (nearly one minute long). I have to admit after the Deed completed I was only wanting more! 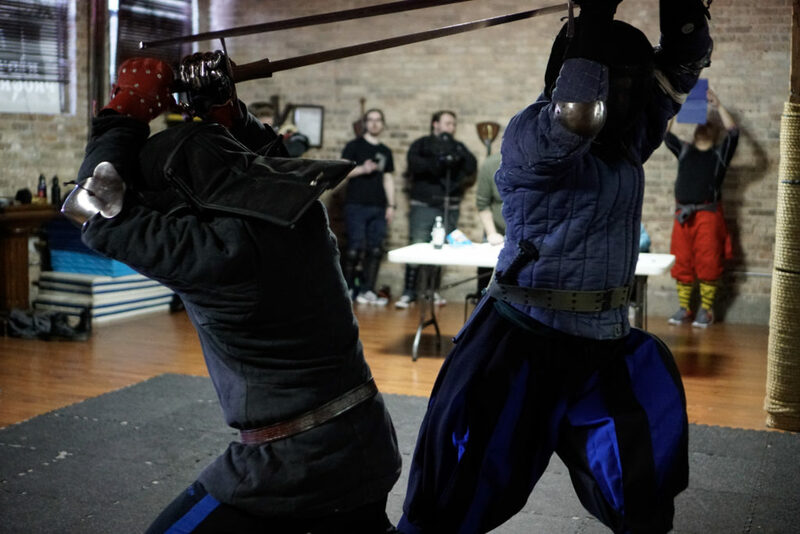 Following the event I had the opportunity to visit Forteza Fitness, the new home of the Chicago Swordplay Guild. 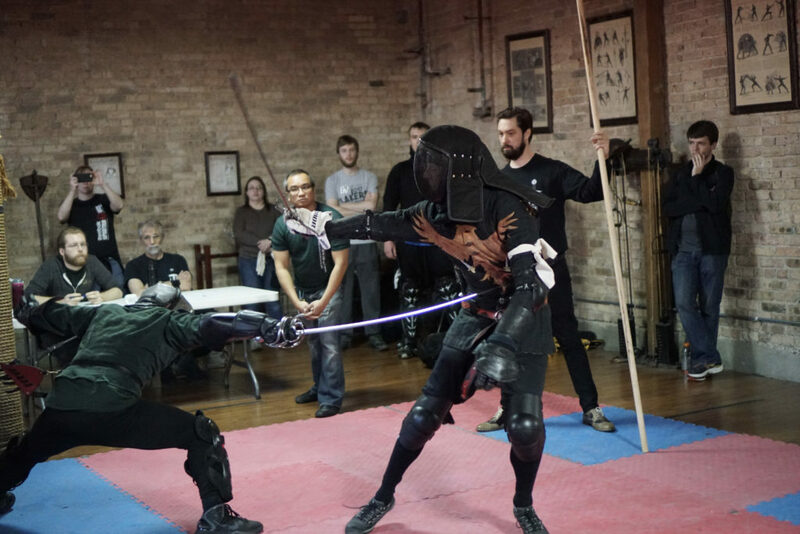 Forteza is a full fledged Western Martial Arts school in a funky suburb of Chicago (pretty close to downtown) that opened its doors about 6 months ago. Greg Mele and his team have done a tremendous job of getting things off to a great start. The space is about 5000 square feet, close to the dimensions of Duello but arranged a bit differently. Classic turn of the century physical fitness equipment surrounds the space, including an antique rowing machine, india clubs, and other apparatuses. The brick and beam construction along with the old world aesthetic give it a great feeling and though it certainly has taken some inspiration from Duello it has a cool vibe all its own. 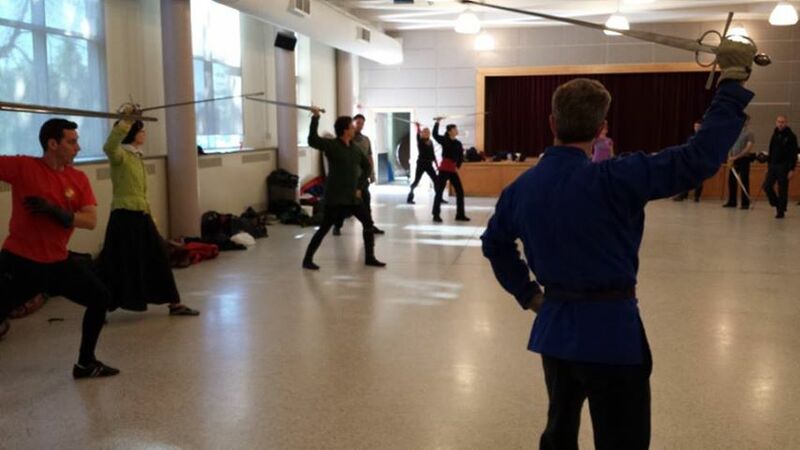 Myself, and Duello senior students and instructors Clint and Roland, took the opportunity while we were there to partake in longsword and rapier focus classes. Both were very well run and content that was delivered was well thought out and presented. 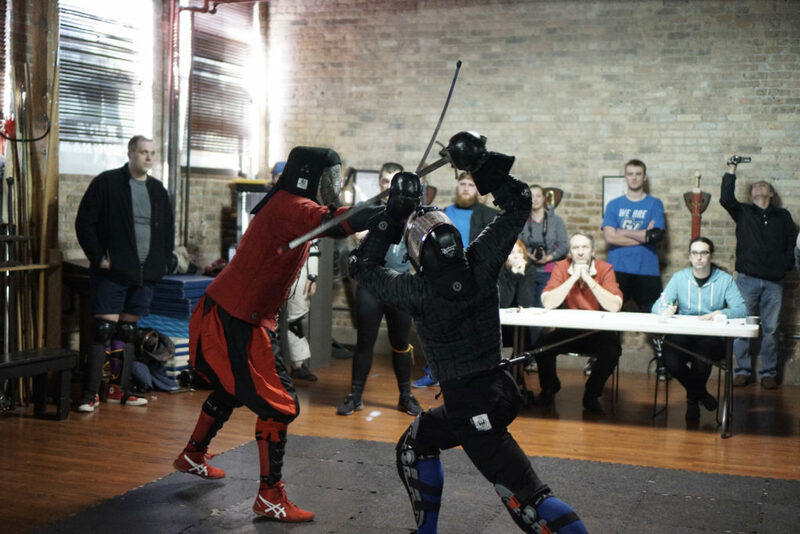 In the rapier class (which I attended) John O’Meira and Treyson Ptak delivered a very succinct lesson on pressing the attack. They are both particularly good at delivering just the right amount of content for students to retain and make meaningful improvement in their fencing. Though I already had a very high opinion of Greg and his other instructors, I can certainly vouch for them even more heartily now having taken a lesson from them in their new home. Following the classes we fenced for about 3 and a half hours with the instructors and students till we were all suitably exhausted. 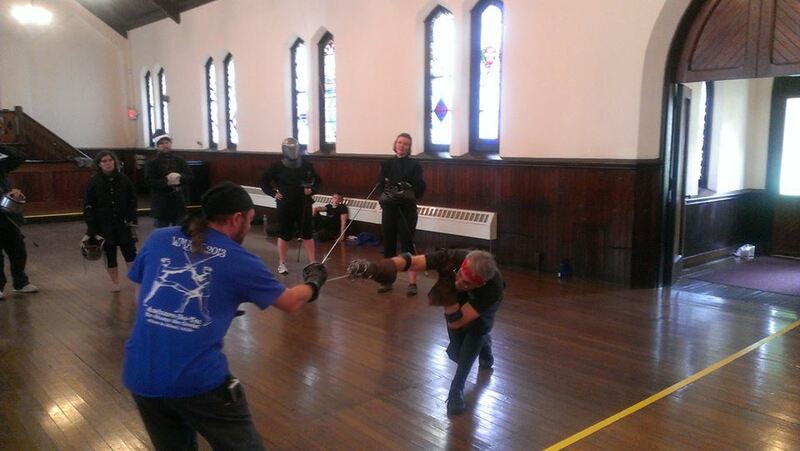 I had the opportunity to do passes at rapier, rapier and dagger, spear, sword and buckler, and longsword. It was a real pleasure and all the fighters presented great challenges. 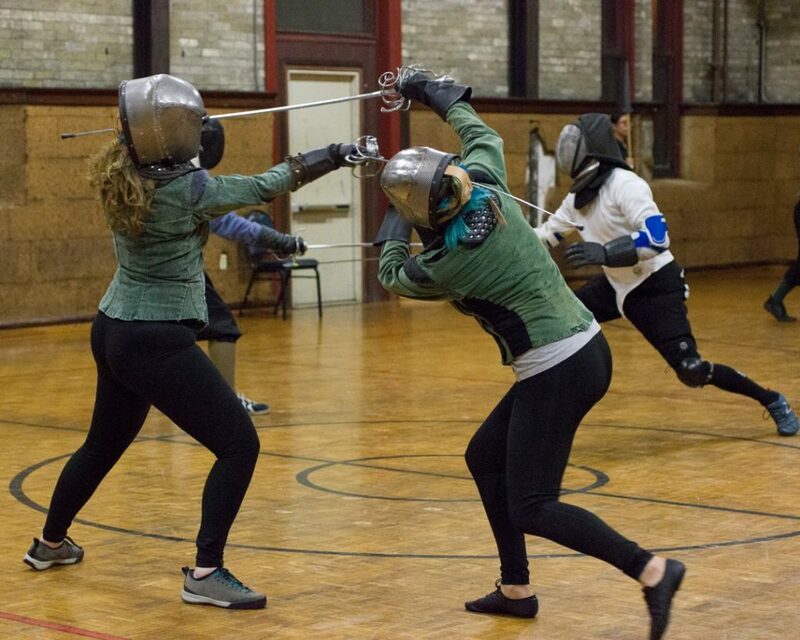 My visit wrapped up last night in the personal fencing salle of Nicole Allen (yes she has a fencing studio in her house — jealous!) where Greg, Sean, Bob, Nicole and myself shared technical ideas, and collaborated on some new Fiore interpretations (some exciting discoveries here — more on this later). Overall a fantastic weekend with fantastic people. If you ever have the chance to visit Chicago, I recommend you pop in on Forteza. 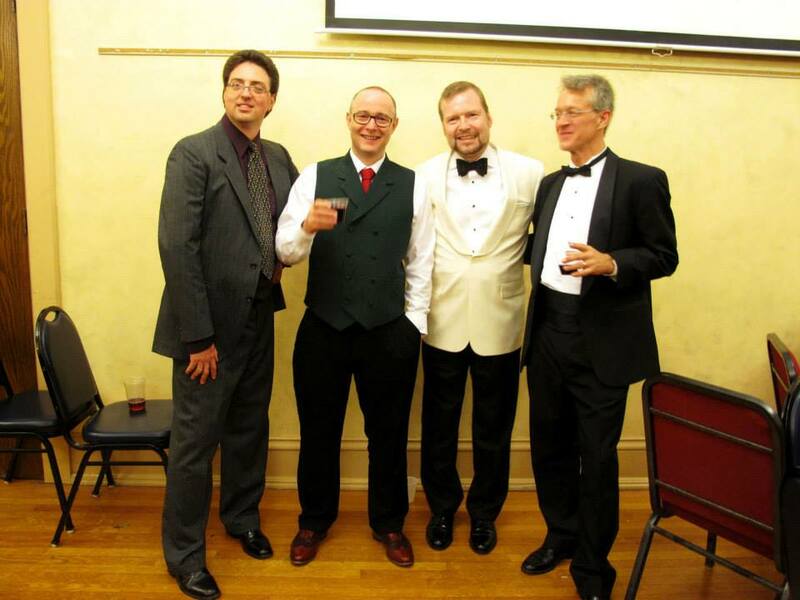 If you are looking for a great conference, keep an eye out for the next instalment of Armizare Academy in 2014 and certainly for WMAW in 2012. 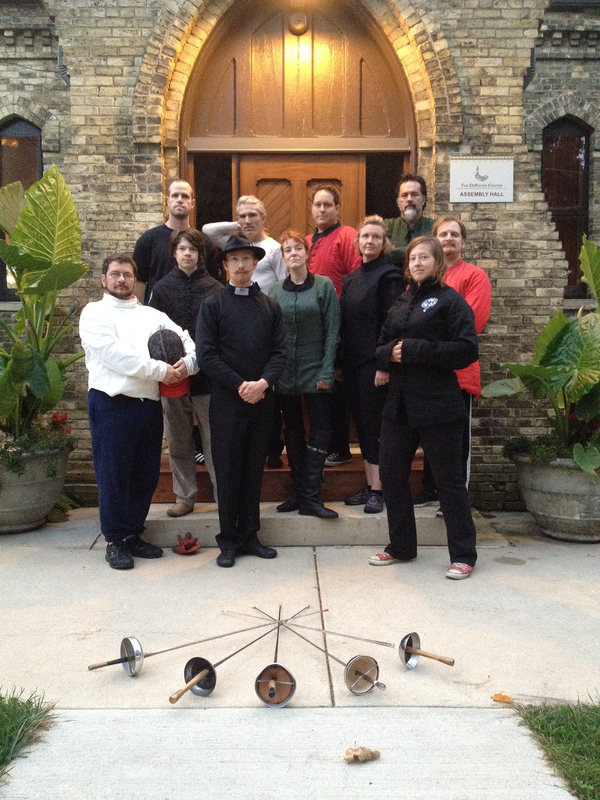 For those looking to take classes from many of these same instructors at a locale a little closer to Vancouver, most of them will be teaching at the Vancouver International Swordplay Symposium in February of 2013. Look for classes and tracks delivered by Tom Leoni, Greg Mele, Sean Hayes, Christian Tobler, and of course me. 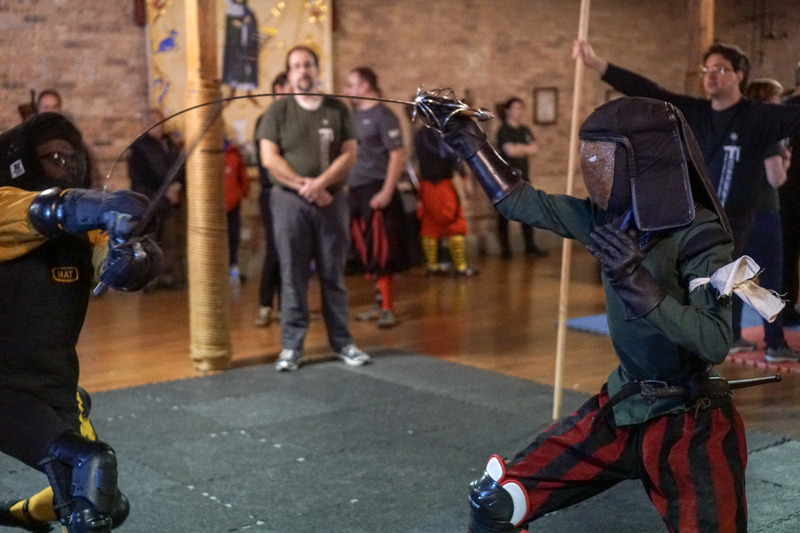 The Chicago Swordplay Guild is pleased to host this invitational, three day event in honor of Maestro Fiore dei Liberi and his Art. 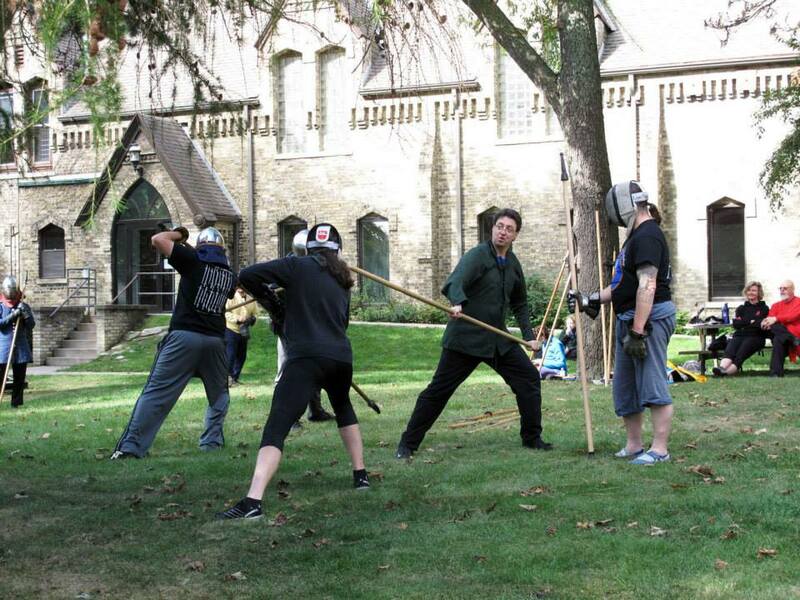 Six hundred years later, a small circle of martial artists gathered from around the world to prove him right! This event, affectionately called “The 600: Prepare for Fiore!”, was such a success with attendees, that we decided to make it a recurring workshop! Since “The 602” seemed to be missing some flair, the event has been renamed Armizare Academy. Each Academy session will have a central theme, but will also include a renowned instructor from a similar, outside tradition, to help put our art in context. 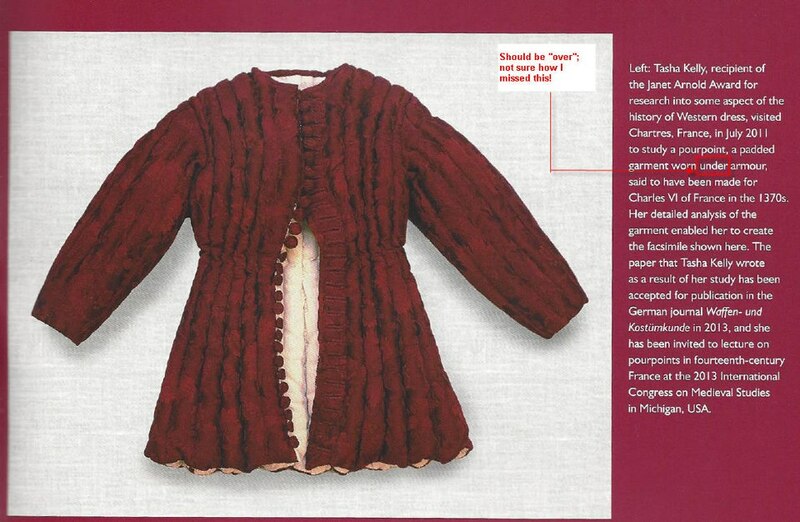 This year’s outside focus will compare Arimzare to the German Kunst des Fechtens of the Liechtenauer tradition. 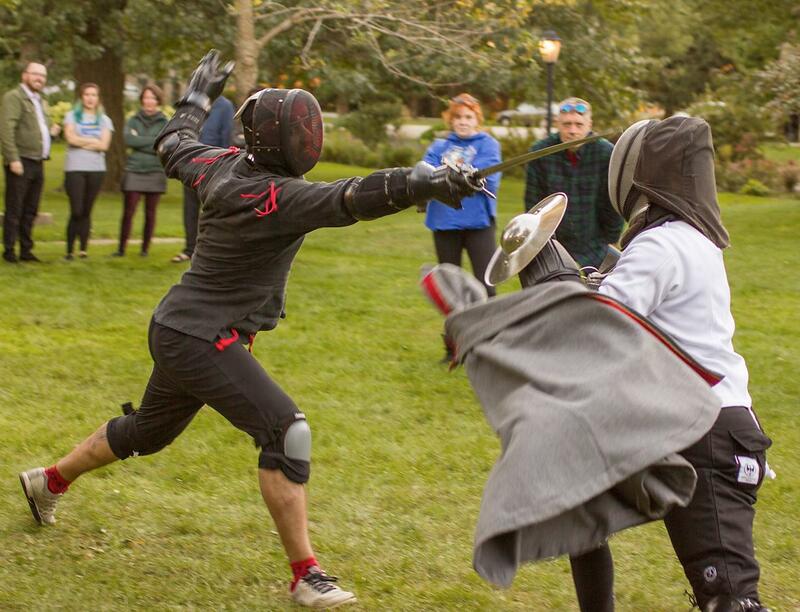 A Friday “Vespers Tournament” – an unarmoured tournament of sword, dagger and lance, open to all attendees. 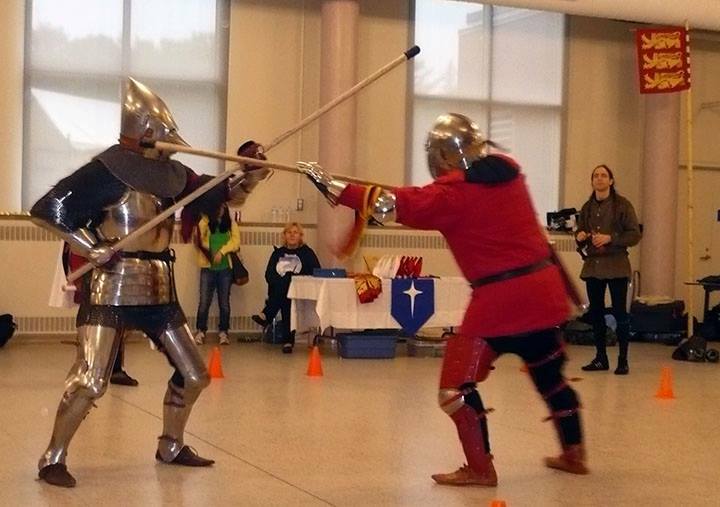 A Saturday, Armoured Pas d’Armes, sponsored by the Chivalric Fighting Arts Association (http://www.chivalricfighting.org/mission.htm – an invitational tournament, celebrating the knightly art, to be fought with sword, lance, axe and dagger. 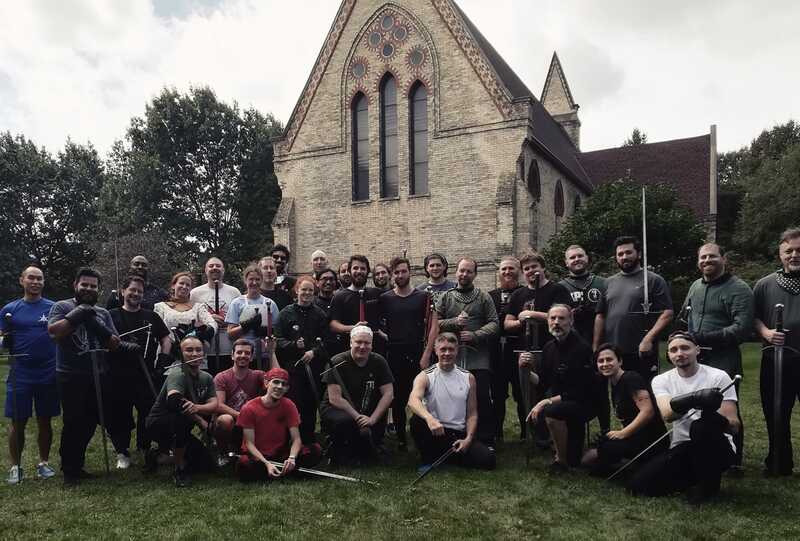 This is a unique event and a unique opportunity to train in a private environment with some of the finest modern teachers of the art of Armizare. Act now, because spaces will go fast. 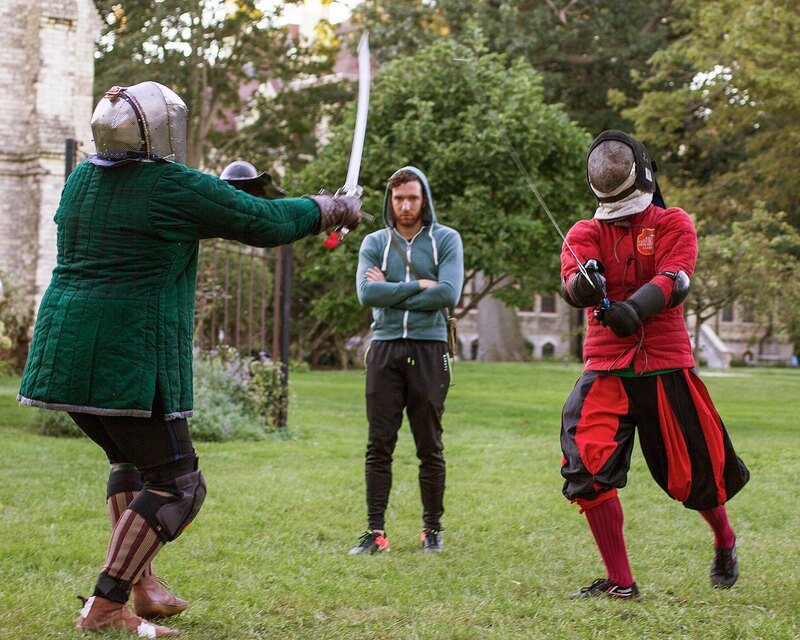 We look forward to crossing swords with you! $300.00 inclusive before May 31st; $360 thereafter. The Registrar will confirm your registration and send you a PayPal bill. 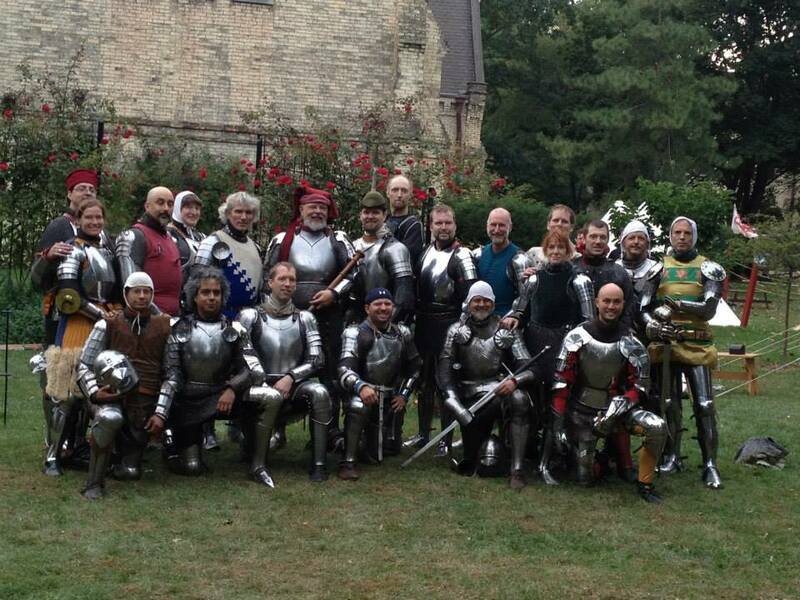 Space is still available for this exciting retreat, dedicated to the fighting art of Fiore dei Liberi. 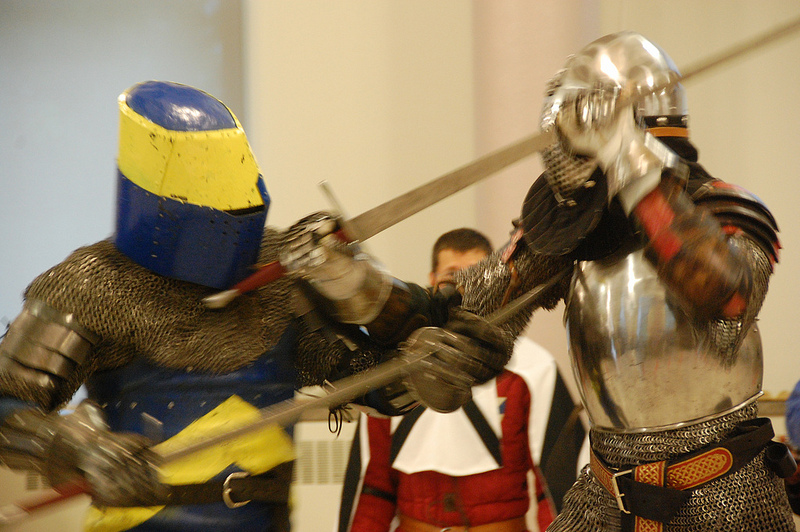 We have revised the schedule, which now includes a coached fencing class, a keynote address by Tom Leoni, translator of the Getty and Morgan Ms and a great deal more!